In my continuing efforts to catch up on blog reviews, I’m happy to share the latest release from Stacie Pryor and [SPRY] – the rise and shine home! This is a larger build than we’ve seen so far from [SPRY], and I love the looks of it! It’s sort of rustic and coastal and colonial all at the same time. You’ll notice there are two front doors – one leads to a very spacious open living area, and the other to a smaller living area, like a mother-in-law suite or an attached commercial office space. The main living area is plenty big enough to fit in a sitting area, dining, kitchen, study…and I enjoy the nooks around the stairs – great for lots of accessory furniture pieces. 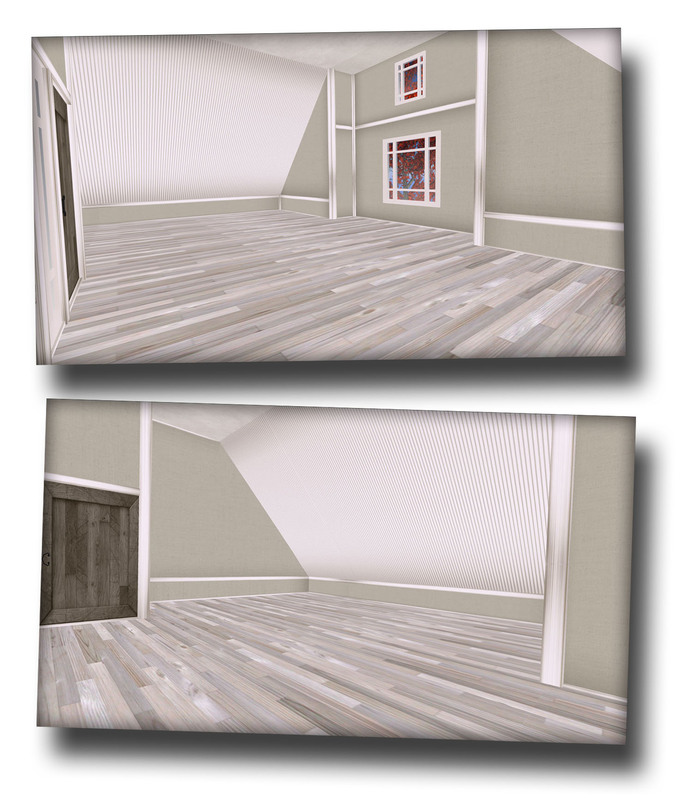 I like the wood floors – my personal preference would be a bit more shading on the floors – but it’s a great neutral palette throughout, perfect for fitting in with any decor color scheme. Stacie used some really fun doorknobs throughout the house — all scroll-y and wrought iron – and the door textures are pretty awesome, too. I enjoy the rough plank look. One thing I noticed is that the doors are a bit out of proportion to an average avatar…the doorknobs are about head & shoulders to me. Another personal preference for me, I like the details to be a bit more realistic in scale. The doors are totally proportionate with the house, though, and they really do look great. 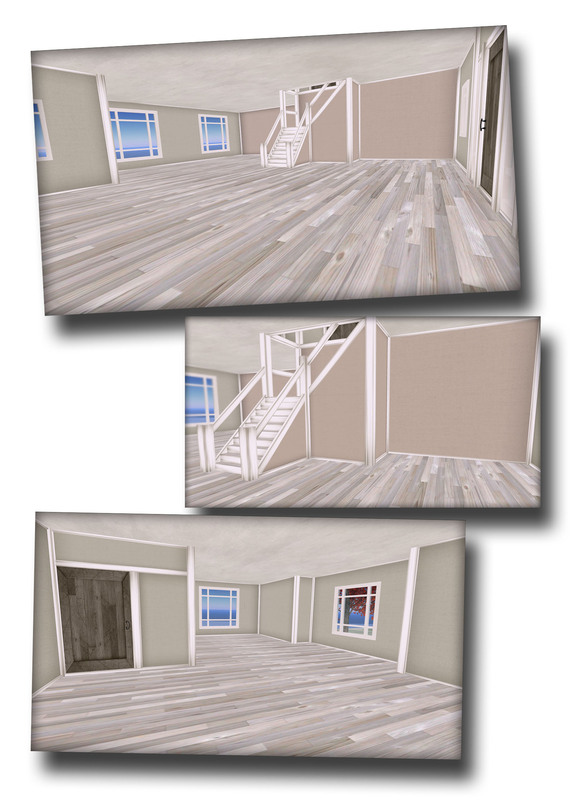 Another great build from [SPRY] – it’s on the larger side, and a bit prim-heavy…but if you have the space and the prims to allow, it would make an awesome home. Tons of possibilities for decorating, and plenty of room to really deck it out.